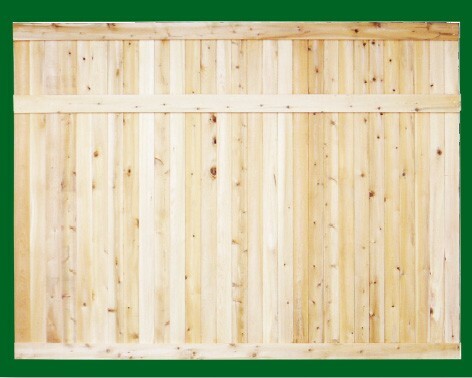 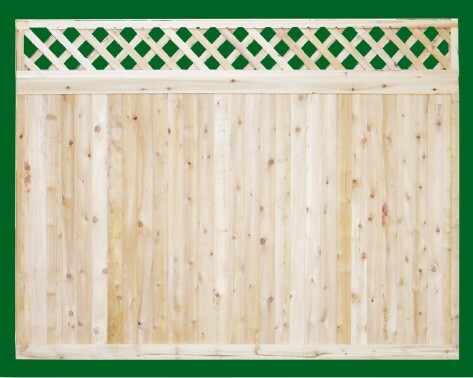 Considered by many to be ‘Good Neighbor’ fence this ‘V-Matched’ Cedar tongue and groove privacy fence is one of the most popular fence designs. 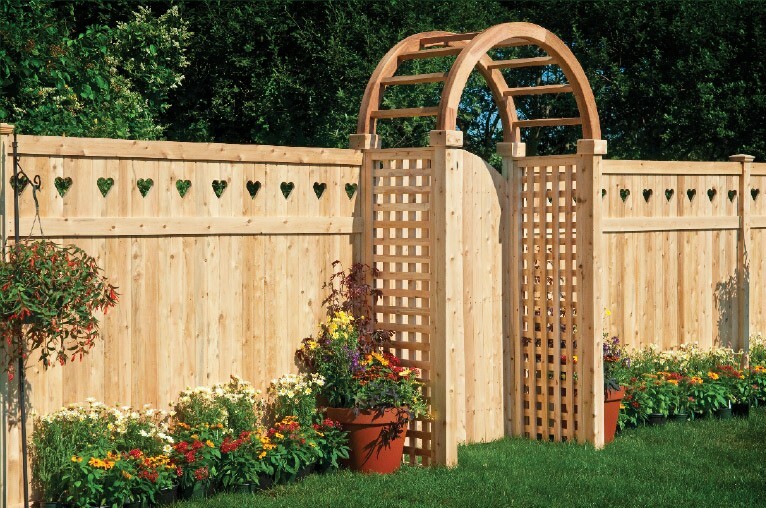 Both sides of the fence are identical so you and your neighbor enjoy the privacy and beauty of this Eastern White Cedar fence. 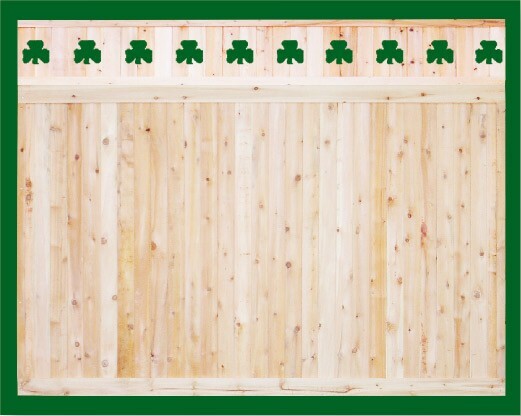 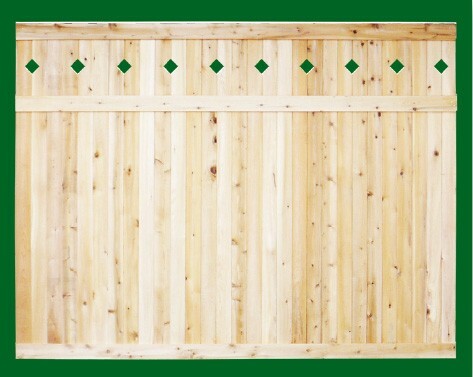 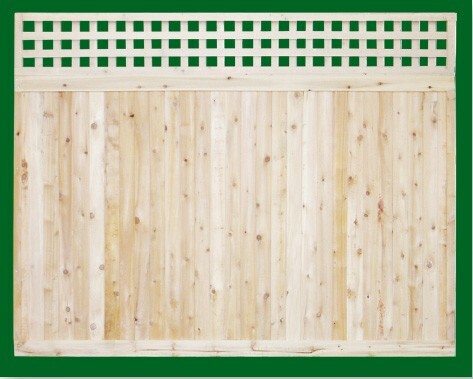 Cedar ‘V’ matched tongue and groove privacy fence sections are available in heights from three to eight feet and may be customized with any of the avaiable options including Fascia Boards, Custo Board Edging and Toppers. 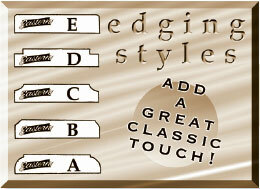 Fascia board edging adds a another dimension to your customization. 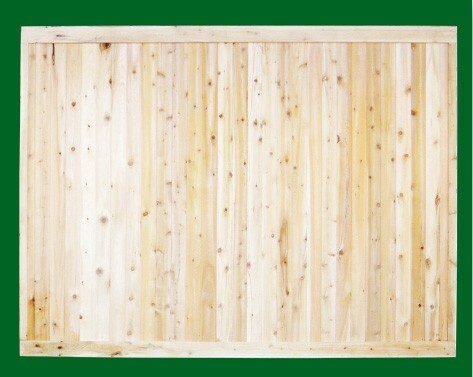 Boards can be edged in any of the following styles.